We have been fortunate to have worked on some great projects and maintaining excellent repour with our customers and we offer a lasting commitment to high electrical standards, ensuring that we are keeping to the latest electrical trends and regultions. 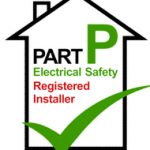 Our electricians are highly skilled and qualified, which enables us to install and maintain a variety of electrical systems. Contact us today to find out more and to receive a free non obligatory quotation.